I received this Essie polish in the shade 'Sugar Daddy' in my April Glossybox and thought it'd be perfect for a simple, pretty manicure. It paints on smoothly and dries quickly to a super-glossy finish, but it does go on very sheer; I used four coats and could still see my nail line, as you can see in the top two photos below, but I didn't mind as I was planning to apply glitter to the tips anyway. I sponged Technic 'Sparkle' onto the tips of my nails for a pretty gradient effect, then finished with a coat of Seche Vite which I recently received in a 'Try' from What's In My Handbag. Have you ever tried sponged glitter tips? Did you get the April Glossybox with the Essie polish? 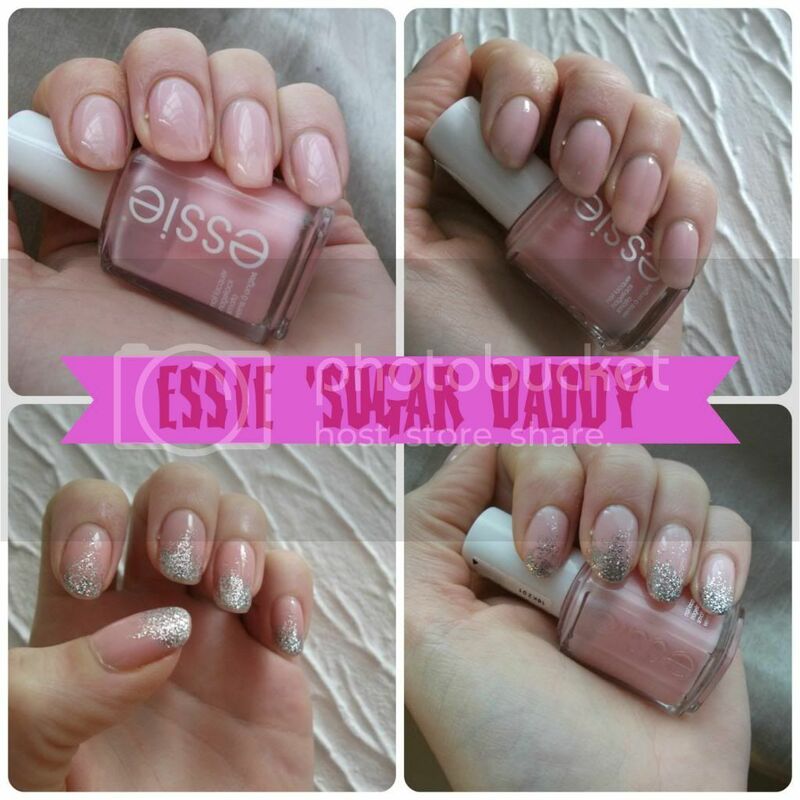 Do you like the look of 'Sugar Daddy'? Hey Jess :-) I just found your blog, it's so cute! I love it! I've never tried Essie polish, but I reallllly just need to get on with it and go for it. I suppose all the colours are just too daunting and I'll probably end up leaving Boots with like, the whole stand probably? I'm so rubbish when it comes to choosing just one thing! Arhhhh, as for Sugar Daddy - well that's another one for the wish list, ha ha! This is lovely, I need to give this a go! Love the glittery tips, you have lovely natural nails!